Well this is also a project developed some years ago while I was still working at Vinil. 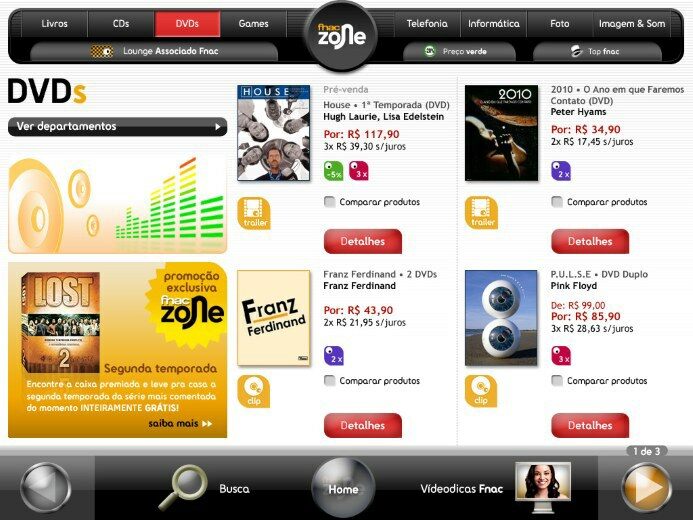 The Quiosque FNAC, AKA FNAC Zone, was an internal navigation system developed for the brazilian FNAC stores so their costumers could search more accurately for whatever they want to inside the store and also check out the prices, discounts, sales and special offers. 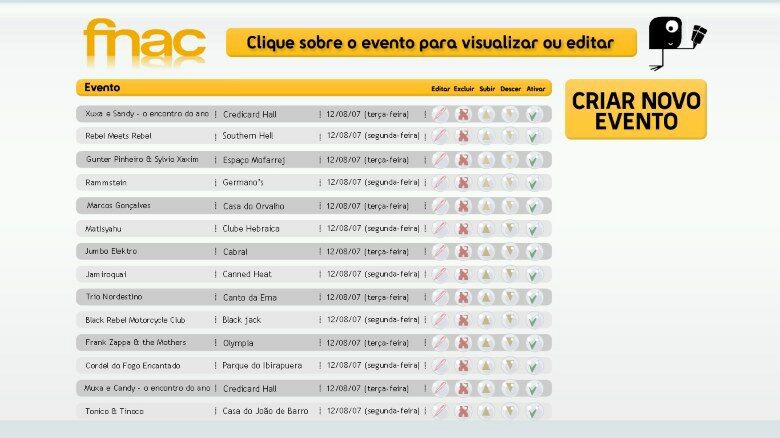 The interface below was designed to work as a simple control panel to manage which events would appear on the internal displays of up coming events so the costumers could see them and buy their tickets at the store.